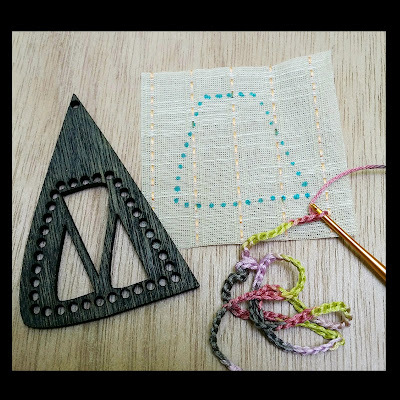 Stitch Story: Machine Stitching Crochet! I have found that I use crochet chains in so many ways in addition to kicking off a crochet project! 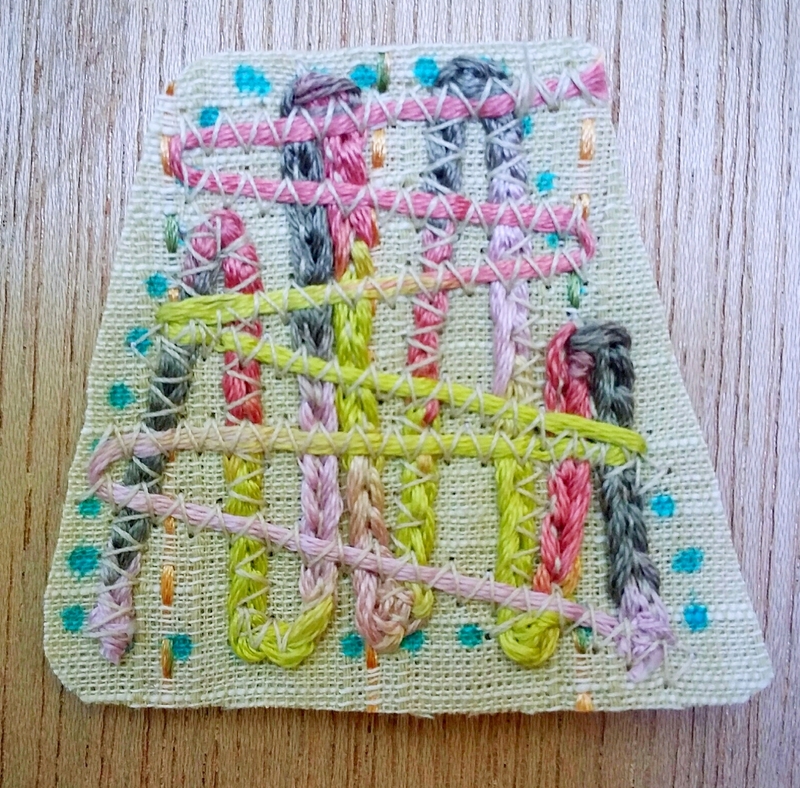 Lately, I have been experimenting with machine stitching my finished crochet and weaving pieces. For example, in this pendant, I wanted to use this beautiful variegated embroidery thread and I wanted there to be different thicknesses and textures. I crocheted a chain and stitched down, then stitched down some un-crocheted thread on top. In some places I used a zig zag stitch, and in some places, a straight stitch, so as not to cover up the thread too much. 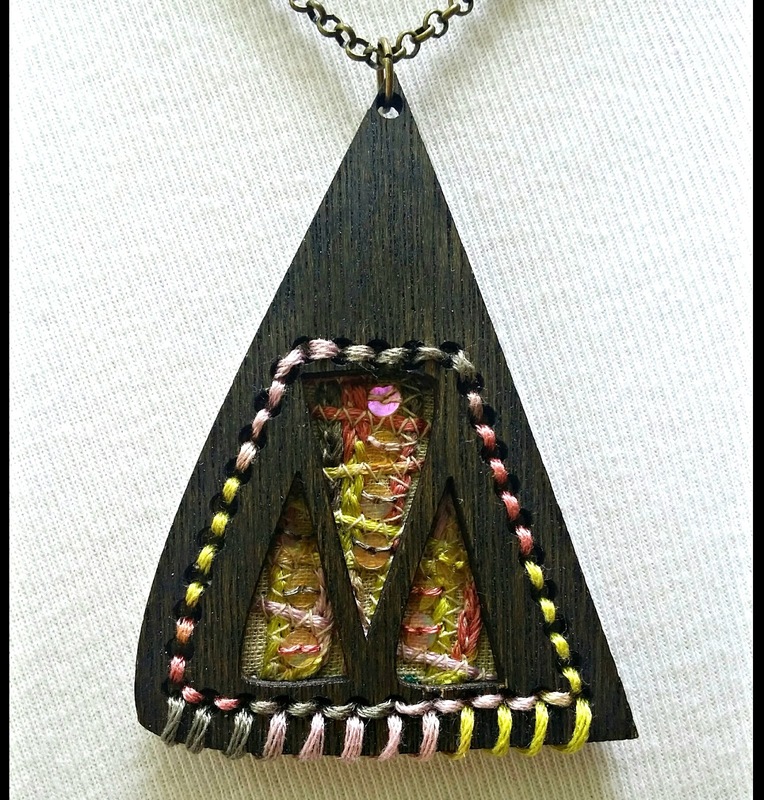 Before stitching it into the pendant, I added some iridescent sequins to give it a little sparkle. 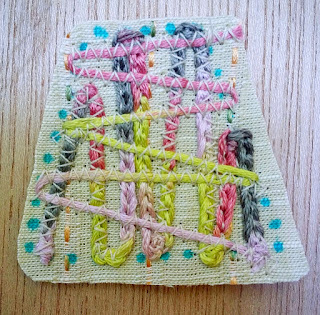 The stitched piece evokes a feeling of celebration, which I love and I think it is a wonderful way to begin this new year of posts! I hope all is going well in 2018 for all of you dear readers! I am looking forward to all of the adventures in fiber this year! Wishing you many days of creative experimenting in 2018. Happy New Year!